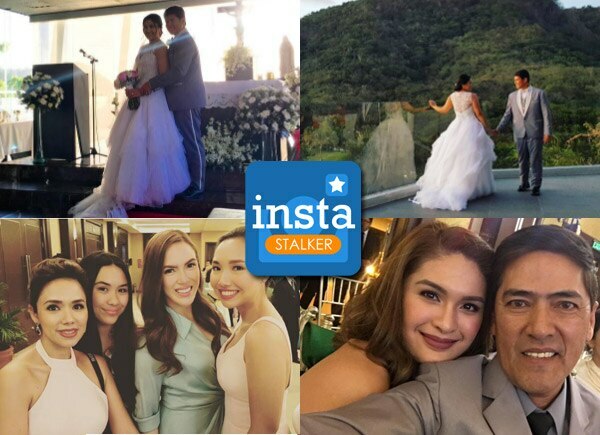 Paulina Sotto, Vic Sotto’s daughter with former actress Angela Luz, tied the knot with her fiancé Jed Llanes last Sunday, January 1. Joined by their closest friends and family, the two had an intimate ceremony at the Pico De Loro Beach and Country Club in Batangas. Congrats @jedllanes10 and @paulinavls :) beautiful wedding! What an awesome way to start the new year! Starting 2017 with L?VE ?? #WhenLifeGivesYouLlanes #VeluzBride @paulinavls ties the knot with @jedllanes10 ?? #makeupbymickeysee @mickeysee #hairbyjaywee ?